Now that warmer weather is approaching, many will be going on road trips in order to have a fun time away from work or school. 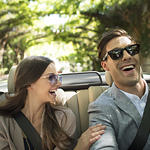 Findlay Volvo Cars Las Vegas wants you to be safe when you are travelling, so it is important to follow a few tips in order to stay safe out on the roadways. Before you set off on your road trip, make sure that the car is in good working order. It is a good idea to take the vehicle in for service and an inspection before setting out on a long journey. Make sure that you are prepared in case you run into trouble when you are out on the road. You need to have a spare tire and tire changing equipment in the vehicle. Keep some motor oil, antifreeze and jumper cables in the vehicle in case they are needed when you out on the road.